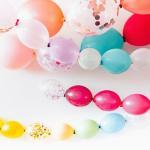 For a kids party balloons are the ideal fun factor. They are colorful, funny, mobile and equally great for decorating, playing or as little give-aways. Enjoy this selection of easy-to-make decorations, which worked well for our own children's parties and that we're sure your kids will love too. 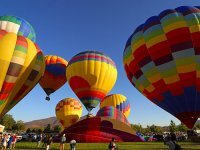 You'll also find a couple of ideas for balloon games that you can play with your kids. The sight of our "Funny Balloon Face" with big googlie eyes is guaranteed to make your little guests giggle and smile. And it's so simple to do, so why not let your child help to make it? 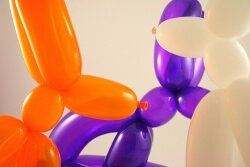 Balloon Animals are a favourite for kids of all ages. Ever wondered how on earth a simple sausage balloon can turn into a cute dog, bear or mouse? Halloween is definitely the time for great parties, colorful costumes and spooky decorations. 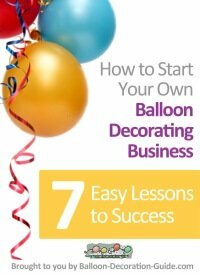 Hot Air Balloon Decorations make a great nursery theme that grows with your child. 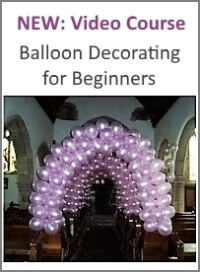 Click here to find ideas for hot air balloon decorations like mobiles, models and murals. Balloon popping games are proven stress busters. They are certainly fun to play! 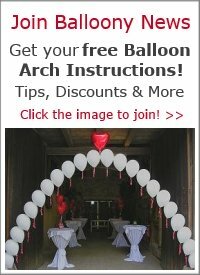 Click here to go to our selection of online and offline balloon popping games. 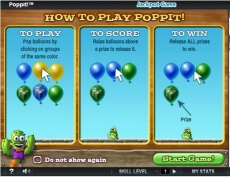 Click here to play a round of the famous balloon popping game "Poppit." 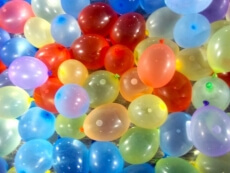 If your kids love to splash around in the pool or with the garden hose, these water balloon games are for you. Click here to read our tips about the best water balloon games. How about "heating up" your summer party with a water balloon cannon? A shout out to our friends at Diva Girl Parties and Stuff. If you have a little "Diva" at home, you'll love their creative ideas and fun activities.